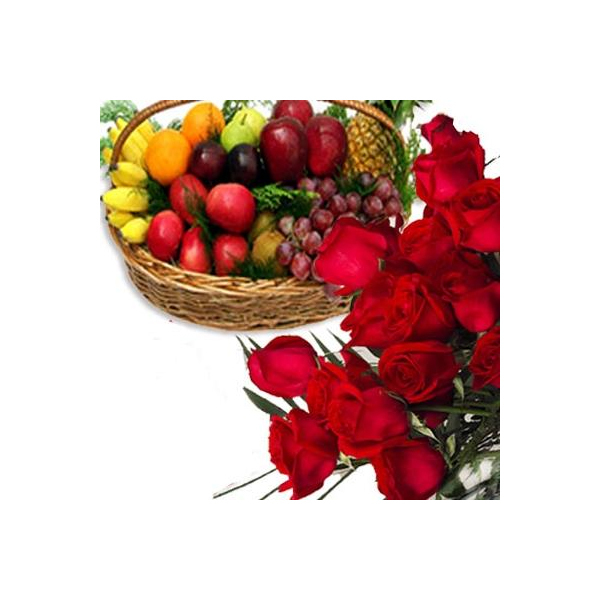 Treat your dear and near ones with nature's bounty. 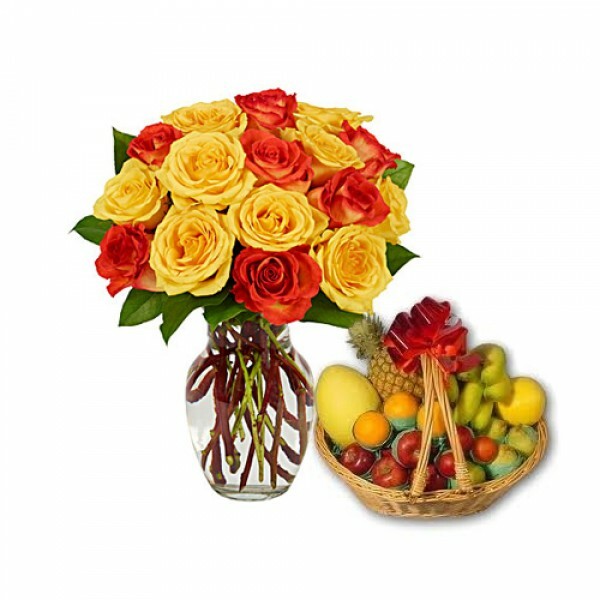 We present this unique arrangement of 25 red roses & 25 Yellow gerbera with lots of green fillers and 3 kgs of mixed fruits in a basket(design of flowers basket may differ from image). 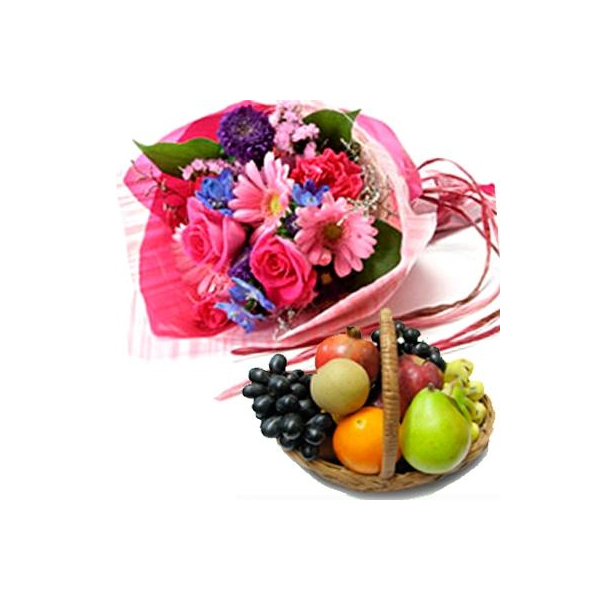 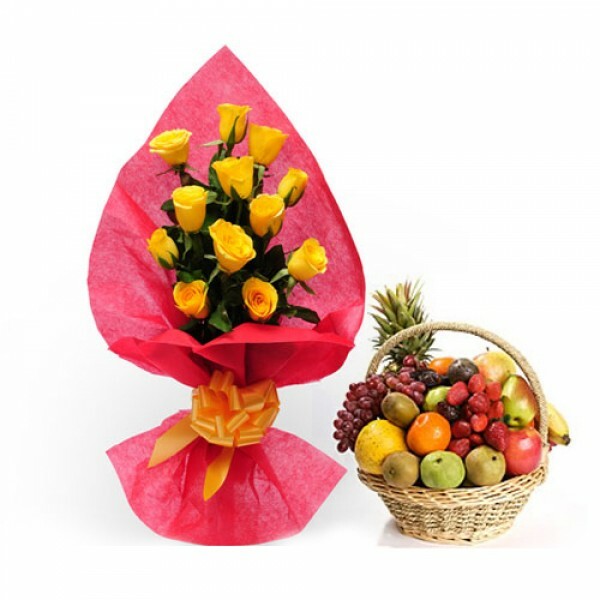 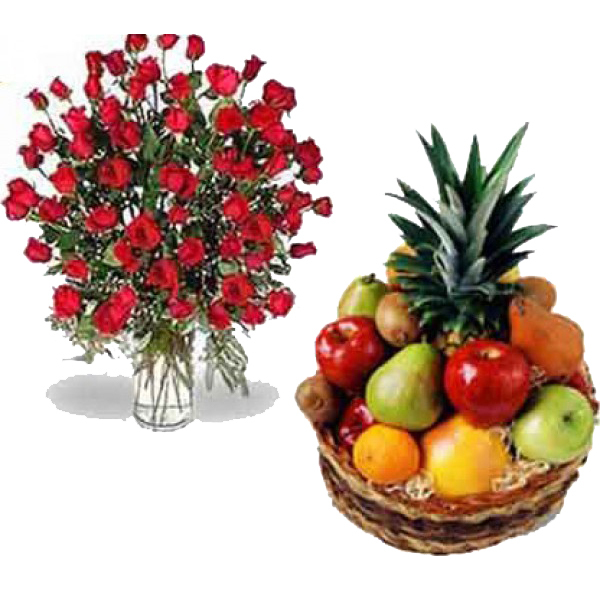 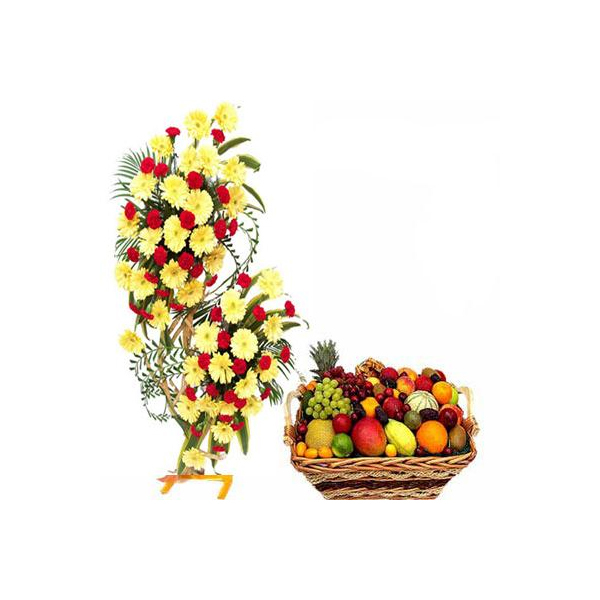 Loaded with the juiciest, most luscious produce of the season, the fruit basket along with vibrant fresh flowers will make a great gift for all joyful occasions like weddings, house warming, baby shower, engagement ceremony and festivals like Holi, Diwali, Rakhi, Christmas, Dusshera, Thanksgiving, New Year etc. 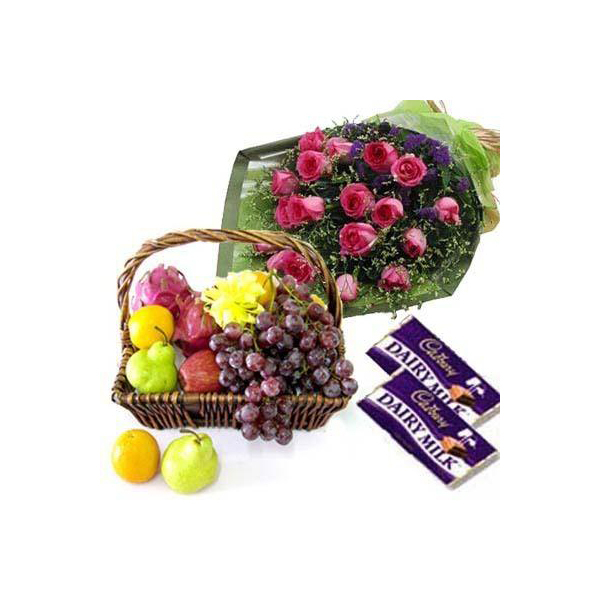 Send this bountiful hamper along with your best wishes to anywhere in India with benefits like free shipping.